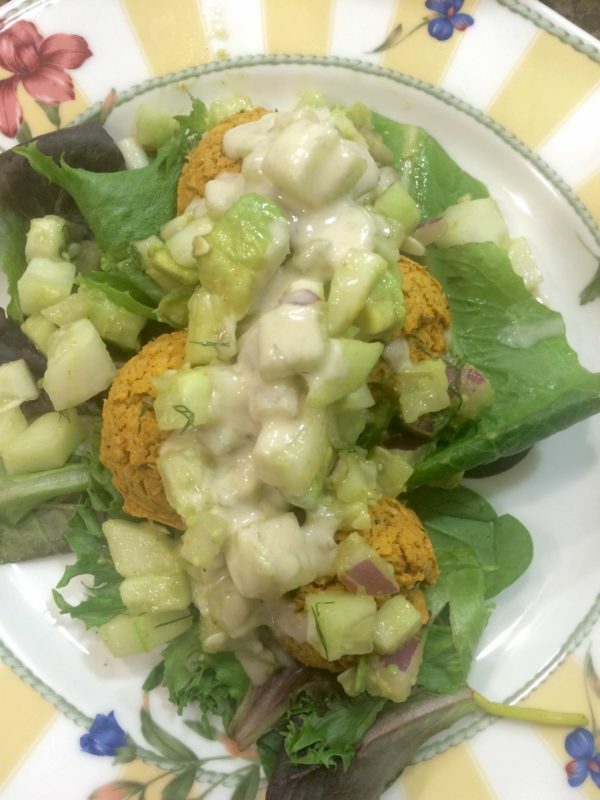 This salad goes perfectly with Sweet Potato Falafel! 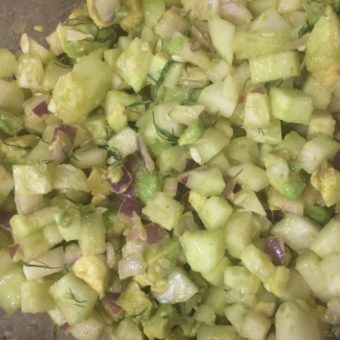 Place all ingredients into a large mixing bowl and stir well to combine. Season to taste with sea salt, vinegar, or lemon juice if needed. Enjoy as a stand alone side, or combine with the Sweet Potato Falafel for a deliciously nutritious healthy meal! 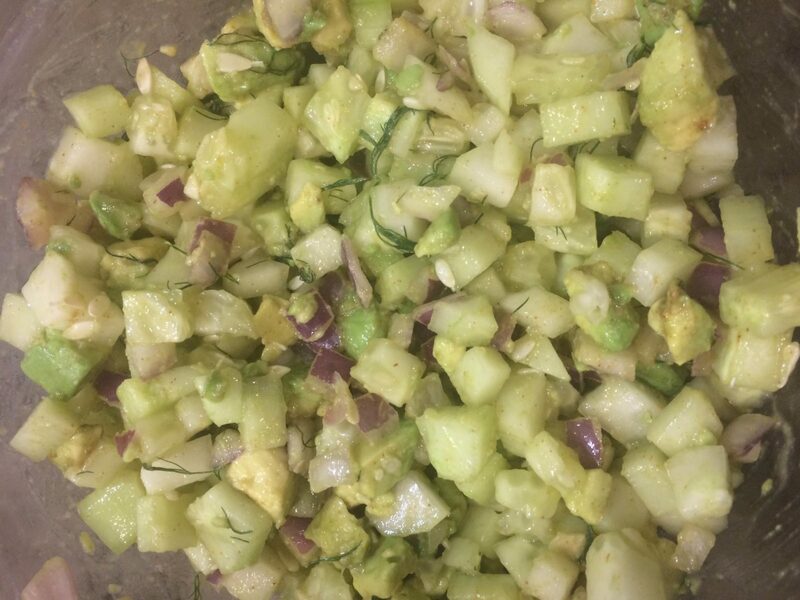 This entry was posted in Healthy Recipes, Nutrition and tagged Cucumber Avocado Salad, Healthy Salad Recipes, Kristy Lee Wilson, Side Dishes.